Not everyone has a chance to see the best street art live, but everyone can enjoy the pages filled with art at home. From the exploration of the Japanese graffiti subculture to global street art guides which are organized geographically, this list presents the books that showcase urban art of all scales, from small sketches to large murals with love messages, from iconic works that follow the birth of a culture to personal stories of success. These are the books that manage to represent the ephemeral street art, tell the story, follow the history of the movement and have the distinctive flavors of different cultures. 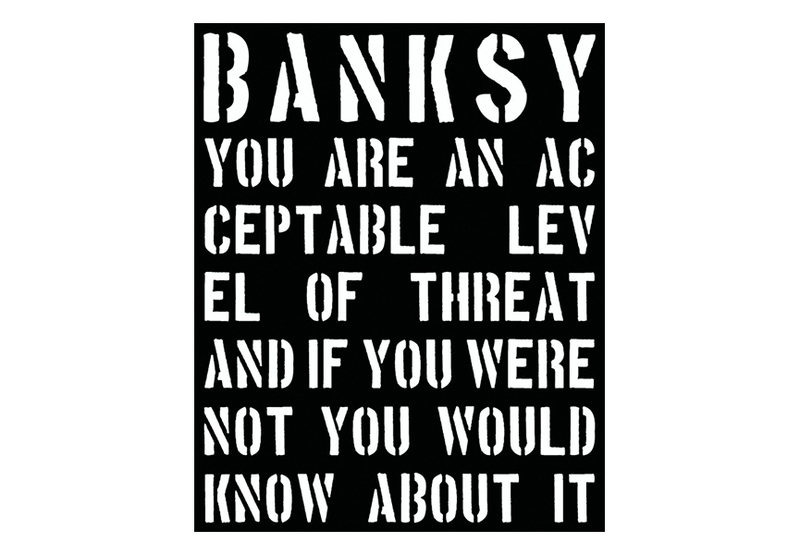 You Are An Acceptable Level of Threat is a collection of Banksy‘s street work photographs and concentrates on this artist’s iconic imagery, from the late ’90s up until the end of 2011. The locations are around the world (but predominantly the UK, US and Europe). Many images had never been presented before. When Banksy started painting, the political landscape was bleak. As Banksy’s cheerfully aggressive political work becomes even more relevant, this comprehensive tome sets about presenting his art in the context of the era he was responding to. From Inkie in Bristol to Steve Powers in Philadelphia, and from JR in Paris to Os Gêmeos in Brazil, The World Atlas of Street Art and Graffiti is the best reference guide to international urban art. 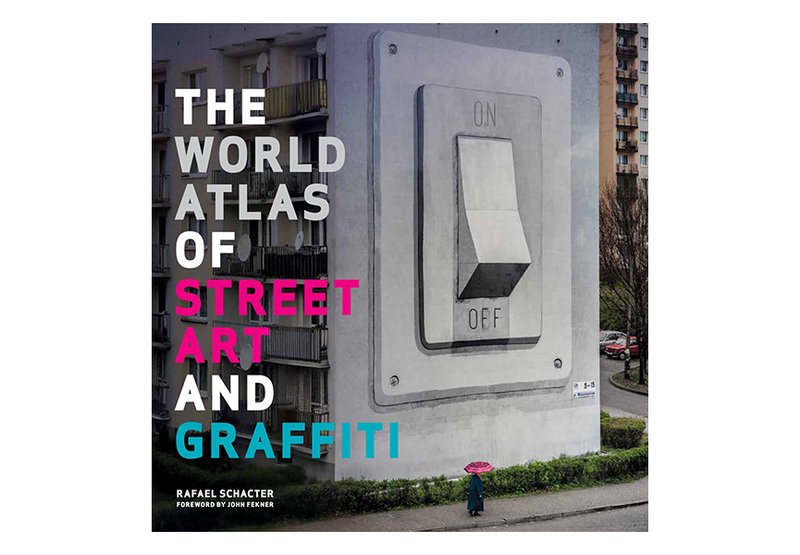 It focuses on the most influential and significant urban artists across the world and identifies the key locations of their work. Organized geographically, the text focuses on the individual practitioners within each country or region and explores the historical background of their works. This book strives towards a more nuanced understanding of what has become a widespread art practice. 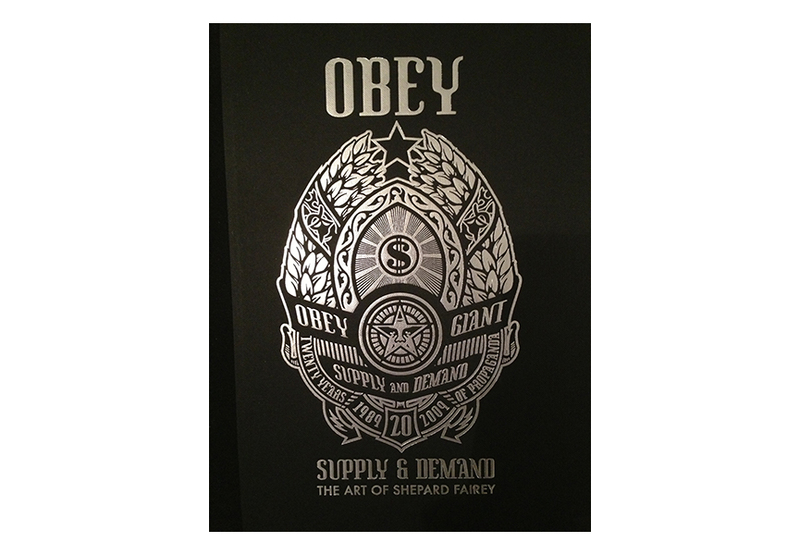 Supply and Demand is the book that finally does justice to Shepard Fairey‘s entire body of work, a massive retrospective covering 17 years of this groundbreaking artist’s prodigious output. Through the lens of esteemed writers and critics such as Carlo McCormick, Steven Heller and Roger Gastman, Fairey’s work is seen in all its depth and placed in context as art, design, social experiment and “getting over”. All areas of the enigmatic artist’s work are presented, from exhibitions, posters, flyers, silkscreens and stickers to high altitude pursuits, citations and police beatings, it’s all documented in a museum quality layout and binding. For both long time fans wanting the complete collection and those who are just curious to know what this OBEY business is all about, Supply and Demand is the perfect choice. Pimped cars and graffiti, extreme body art, ice sculpture, flash mobs, burlesque acts, portraits made from bottle tops, dresses made from meat, paintings made by animals, light shows, carnivals and giant artworks that can only be truly appreciated from the air, this book has them all. There is art by and for everyone in this book. From skaters, surfer and club kids to environmental activists, tattoo artists, foodies and wild architects, no-one is excluded. The 350 extraordinary artworks featured here are often moving, funny or shocking, celebrating the beauty and art in everything. 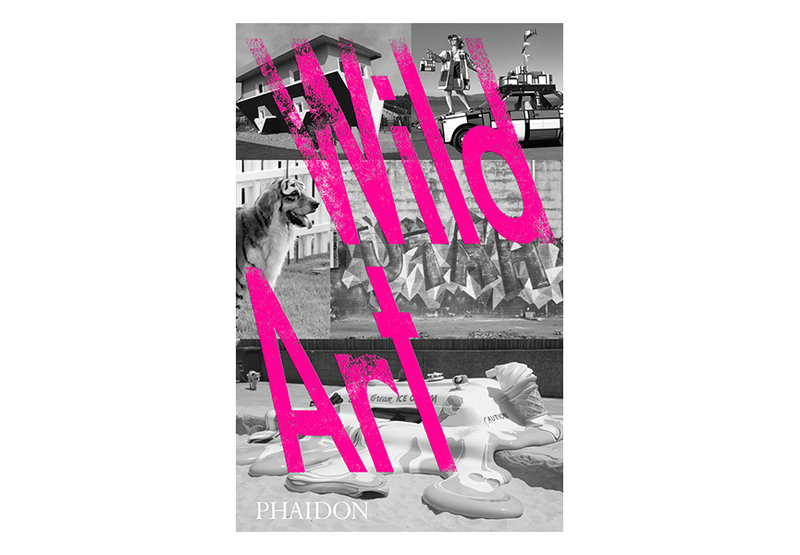 Wild Art will be a visual exploration of everything and anything from outside the exclusive and rarefied spectrum of the ‘Art World’. 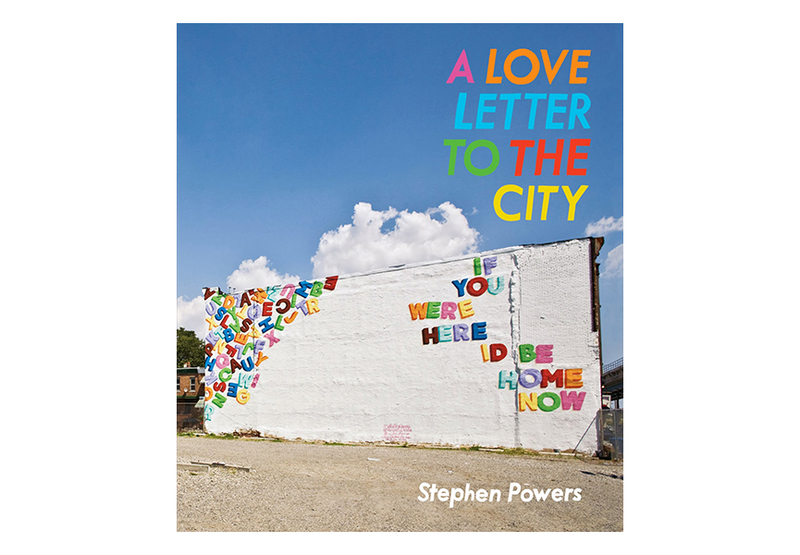 Across city walls and along rooftops, Stephen Powers’s colorful large-scale murals send relatable and moving messages, such as “If you were here I’d be home” and “Forever begins when you say yes”. What at first looks like nothing more than an advertisement, suddenly becomes something grander and more mysterious—a hand-painted love letter in the size of a billboard. Combining community activism and public art, Powers and his team of sign mechanics collaborate with the neighborhood’s residents to create visual jingles— sincere and often poignant affirmations and confessions that reflect the collective hopes and dreams of the host community. A Love Letter to the City presents the artist’s powerful public art project, including murals on the walls and rooftops of Brooklyn and Syracuse, New York; Philadelphia; Dublin and Belfast, Ireland; São Paolo, Brazil, and Johannesburg. 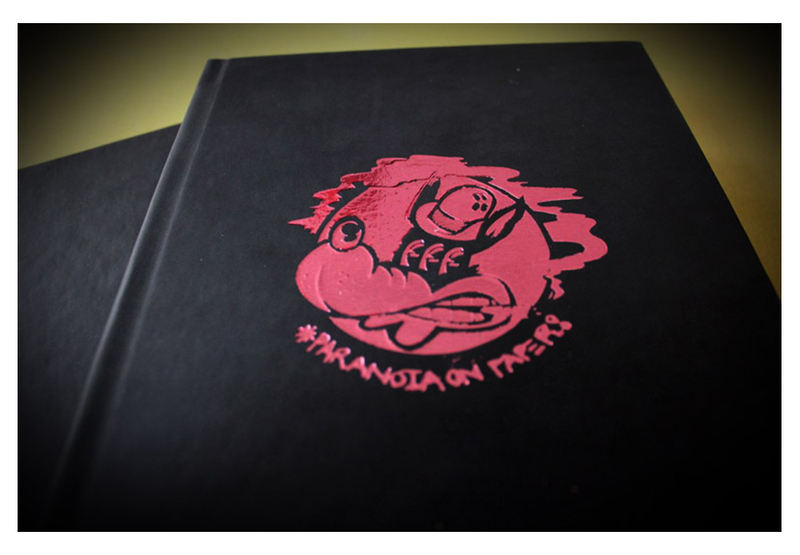 Sickboy and Word To Mother released the ‘Paranoia on Paper’ Collector’s Box Set, a celebration of the five years of sketching. The book is designed in the style of Sickboy and Word To Mother’s own sketchbooks, offering a rare insight into their private work. An edition of just 50, this beautifully designed piece is a homage to their mutual addiction to sketching. 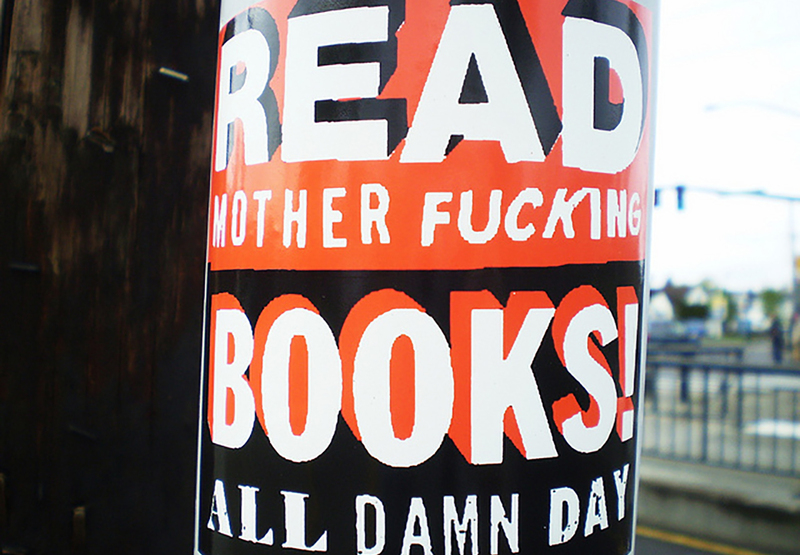 Every book is one of a kind, with a stickered and customized page, created by the artists on the day of release. It also includes two hand-drawn comic strips, illustrating the escapades of the dysfunctional duo. Brilliant images of graffiti collected all over the world and preserved before they were destroyed and chipped off the walls. This is the art driven by existential hunger, art that attacks you only if you are lame, art that inspires mystery and creativity. 11 Spring St NY was a much-loved site that became a graffiti landmark. Before it was redeveloped it inspired acts of love and passion: Lou Reed made it the subject of a poem and Untitled preserves it in all of its glory. 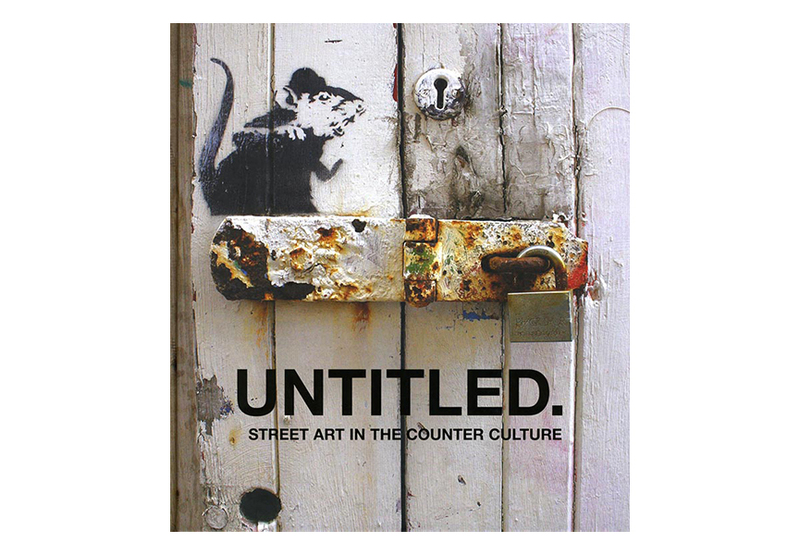 Includes works by Banksy, Faile, Dface, Swoon, Bast, Blu, Blek Le Rat, Obey, Dolk, Eine, Gaia, Elbowtoe, Hush, Copyright, Mir, Dan Witz, Space Invader, Armsrock, Doze Green, Know Hope, Skullphone, WKInteract, Skewville, Borf, Ame72, Sam3, Eelus, Miss Bugs, Rene Gagnon, The London Police, Michael De Feo and many more. 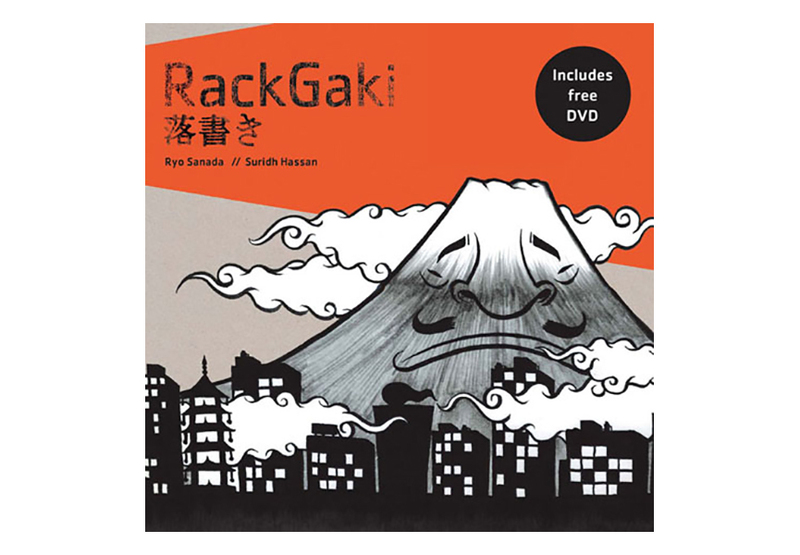 Dedicated to Japan’s rackgaki (graffiti) scene, this book illustrates the work of major graffiti artists working in Japan today. It showcases the creativity that lies within this new and relatively unexplored form of contemporary Japanese art. Interviews with the artists, and the authors’ own experiences in documenting the different aspects of this subculture, reveal a cutting-edge art form, which is often at odds with police and civic authorities. The accompanying DVD brings to life the imagery of the book and includes footage of graffiti being created. Set to a soundtrack by some of Japan’s leading trip hop artists, the viewer is fully immersed in the subculture that is Japanese graffiti. 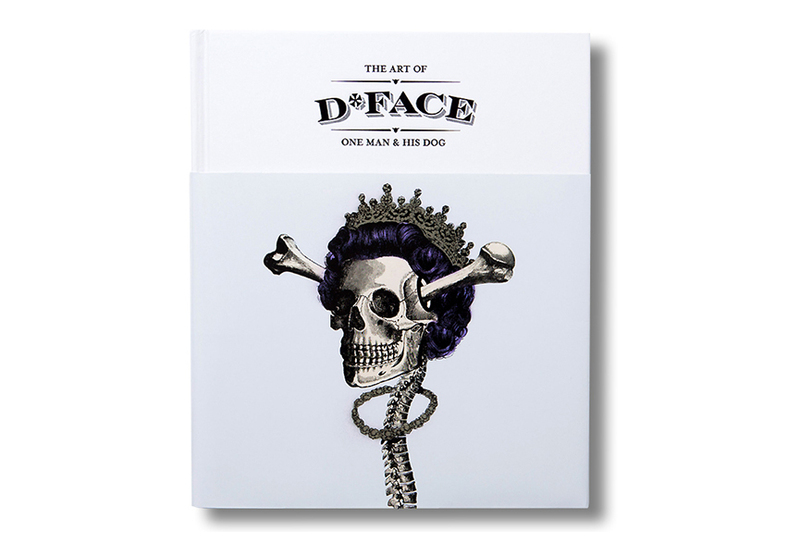 This 344 page monographic edition covers the evolution of D*Face‘s style throughout his artistic career, including his street art murals and projects, as well as his studio work that led him to realization of successful exhibitions worldwide. One Man and His Dog is packed with photographs and artwork never seen or reproduced before, and some insightful scenes of the artist creating in his studio, rounding up the story of the development and emergence of iconic D*Face imagery. To define his own art, D*Face coined a term “aPOPcalyptic”, which describes the contemporary consumerist craze of images, brands and superficiality, overwhelming us on the daily basis. His expression leans on pop art stylistically, but is rich in references to contemporary popular culture, addressing all of the ideals and shifted moral boundaries that have lost all meaning in our era. During the 1970s and 80s photographers Martha Cooper and Henry Chalfant captured the environment and the imagination of a generation by documenting the burgeoning New York City graffiti movement. 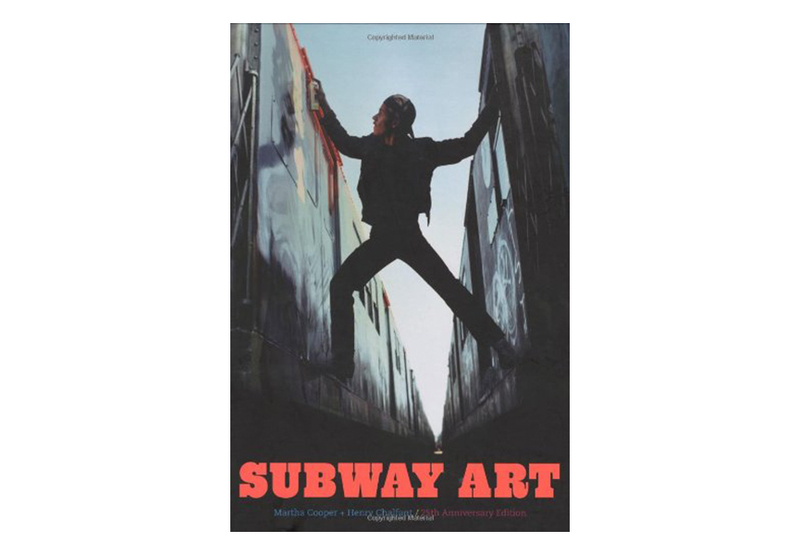 Now 25 years and more than a half a million copies later, their bestselling book Subway Art is available in a large-scale deluxe format heightening the visual impact of their classic images. Sign up for My Widewalls and follow the latest news from the world of contemporary art.